I wrote most of this newsletter last week. What a difference a week makes!! I returned last night from a quick weekend in the lovely East Coast and enjoyed a Santa Ana wind landing at Burbank. Can you say turbulence!!! This morning I awoke to the smell of smoke and quickly learned Southern California is now under huge fire danger again. Today’s December 5th classes are cancelled and the next few days are TBD. Please check with me regarding the rest of the week. I will post on our Facebook page updates regarding this week’s classes. Now to what I wrote last week!! I am always surprised how quickly the year goes. This year has been wonderful. I feel after our return back to Weddington last year, this year our program really is finally back to the high quality it is known for. I want to say thank you to all the coaches and players who have made this year so special. This program is like family to me (a healthy family) and I feel so blessed to be surrounded by such wonderful people! This year we will be doing our 29th Annual All My Children’s party!! This is something that started the first year I began teaching and is such a joy to gather all the kids to my house. My dogs might not be so thrilled but it is always a blast. Please save the date December 16th from 2:00-4:00. Details below. Adults don’t worry I didn’t forget about your party. 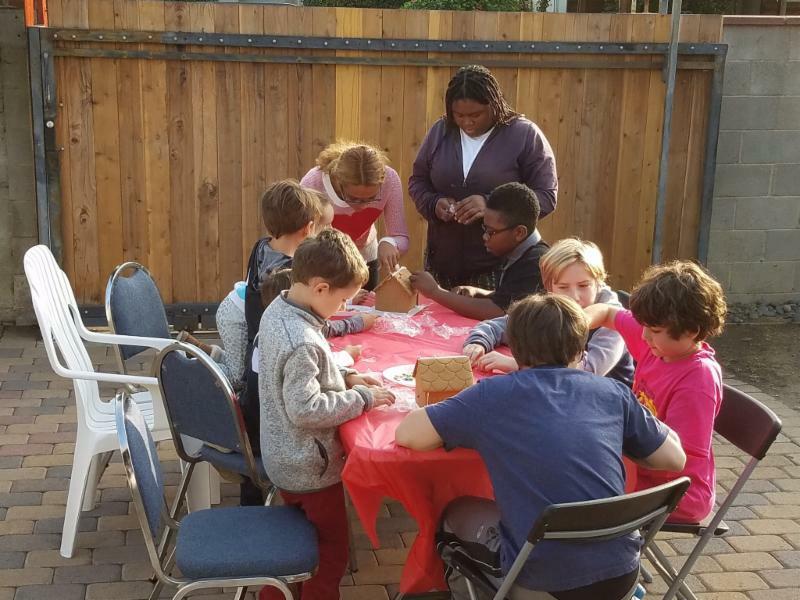 This year the dates are challenging with Hanukkah and Christmas on a Monday so I am thinking we can do a kick off Spring party around the middle of March. How does that sound?!! 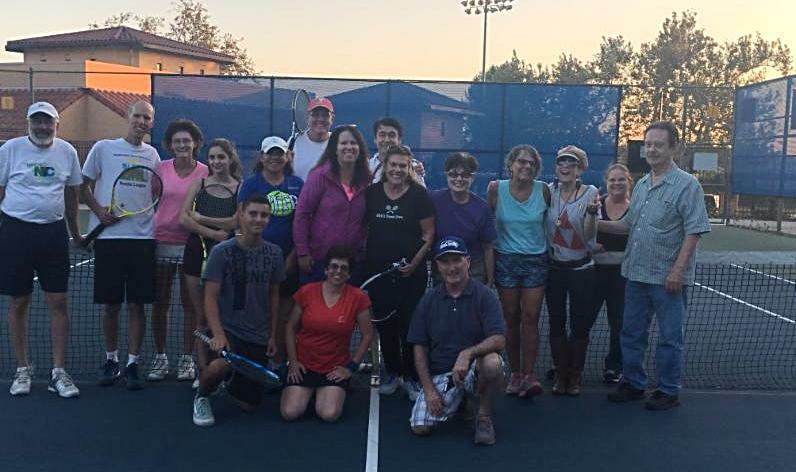 eam tennis is winding down for both adults and juniors. The adult winter league will kick off in January with a 18+ mixed doubles levels 6.0 and hopefully a mixed 7.0 then a Ladies 3.0 40+ team. NTC is always looking for players!! We want YOU!! Please see box below for details to sign up for the winter season!! I know a couple of our juniors have aged up to the adult team and this will be the first season for them to participate in the adult league! The junior teams will start again in February. I am really excited for the 2018 junior season as I know they learned so much this past season and I am pretty certain this next season will be their breakout year! I really want to thank everyone for a wonderful year. It is crazy to think we are 29 years and going strong! I am so lucky to teach so many wonderful people. Our program has something for almost everyone. So many of the juniors grow up and join our adult program. It is amazing to teach the kids of the kids I have taught. I am wishing you all a very wonderful holiday season and a brilliant 2018!!! For those of you who want to ring in 2019 in great health you can start now and check out What’s new with the Crew member Jonny Bowden’s new book! Wondering what to get for people for the holiday’s?? Nikki’s Tennis Crew members are a wealth of shopping ideas for the holidays. Below are some of my favorites!! Let’s support our people! I look forward in seeing you over the holidays and if not, in 2018 let’s play lots of tennis!! Please stay safe and healthy during all these fires!! Knowing all your friends and families in these areas are safe and protected!! Blessings to you all!! Remember our facebook group page has lots of information, fun photos and just a great way to stay in contact with our “tennis family” and what is going at our home courts and abroad. 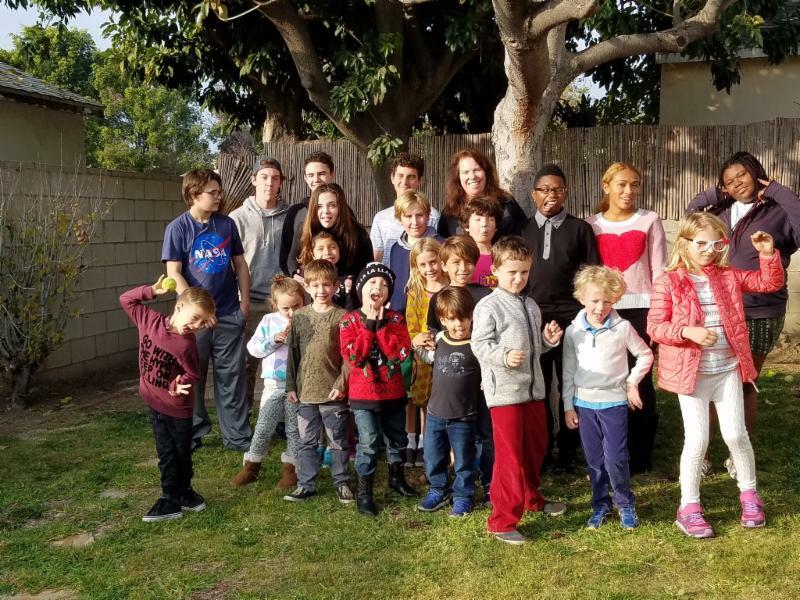 Join us on December 16th from 2:00-4:00 at my home as we celebrate the holiday’s and get all the kids together for a fun afternoon of games and merry making. I will have pizza,chicken, juice boxes for the kids. The parents are invited to join as well. It is known the parents hang out and have a little adult beverage to celebrate the day as well. If you would like to contribute to the food and drink that is great. Just let me know ahead of time. Please RSVP as I make all the kids a present. I want to make sure to have your child’s.I will give you my address when you RSVP. If you can not make it, I wish you all a very very Happy Holiday season!! Adult party will be a spring kick off party in the middle of March. Two to three weeks off with nothing to do for the kids?? Come join our team for a fun winter camp. Camp will run 9:00-12:00 Monday-Friday December 18-December 29. No class on December 25. Cost is $60 per day or packages of three for $150. A minimum of three kids must sign up for us to hold camp each day so please RSVP ahead of time to reserve your spot! Please note we will not have evening classes those two weeks unless we have a group that wants to. If you want your child to play in the morning but don’t want to do all three hours, we can figure something out as well. Nikki’s Tennis Crew program will run through December 15th. We resume for the winter session starting on January 3rd. See box for winter camp December 18- December 29. Check here for our winter flyer. I have changed the Tuesday class time a bit but it will revert back to 5:30 when the high schools begin in February. Check out class schedule under Junior Programs. What’s New with The Crew!!! With New Year’s right around the corner, I know many of us including myself will make some sort of resolution, commitment, intention to get into better health in 2018. This month we feature a long time member of NTC and nationally known expert on weight loss and nutrition and is the author of many best selling books, Jonny Bowden Ph.D, C.N.S. The 10th anniversary edition of The 150 Healthiest Foods on Earth just came out. 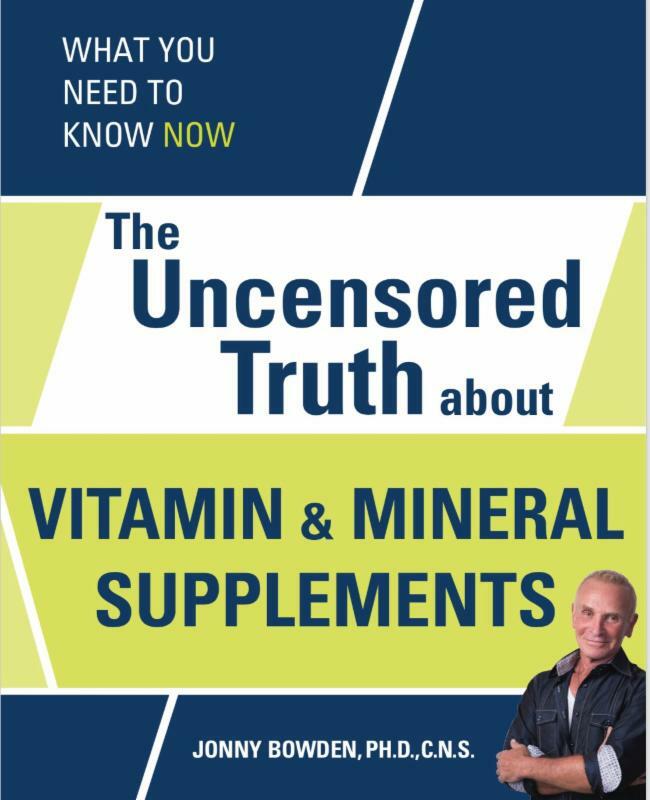 If you send him a digital receipt he will send you a copy of his newest book “The Uncensored Truth about Vitamin & Mineral Supplements” for free!! Jonny has been interviewed on television over 100 times from the likes of Dr. Oz Show, Oprah. He has many articles in print and online publications. You can find out more about Dr Jonny on his website. Let’s get to our best health in 2018!! How about some beautiful handmade jewelry where all proceeds benefit the Africa Foundation. Keri Close is our go to person. You can check out her website Pres Creative. I love Kathryn Pitt’s art work. This year she did a wonderful painting of my friend’s dog that I will be giving as a holiday present. Check out Kathryn Pitt Pet Portraits! How about some Pilates? Pilates Studio Cityowned by Lora Anderson Pavilack is the place to go. She has been a loooong time supporter of NTC. How about getting ready for the summer with some swim lessons! Clare Ashbrook is our crew swim coach. She teaches both kids and adults!! You can email her for more information. Her website is being updated at the moment. Going on a long flight. A good book written by mom of Eli Robin Finn, Restless in LA will help the time fly by! Those are just some idea’s off the top of my head. If you have other’s that I missed please share on our facebook group page!! 2017 arrived as a La Nina year and then rained 16 days in the first two months. A huge anomaly for recent Southern California. 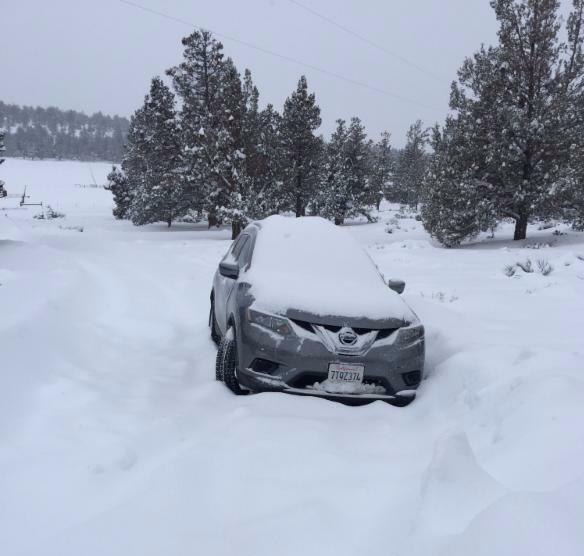 I started the Sacred Art of Dying workshops in Bend and proceeded to get snowed in. With all the rain, the 10 and under team started their very first Junior Team Tennis season with missing lots of practice. Their slow start picked up speed as they started to get their serves in and even won a few games. Edie over joyed after a match came running up to me to let me know she won a game. 1-8 but she won A game. Celebration by all. February I was back at Campbell Hall looking forward in the boys having a much better season than last years 1-9 record. 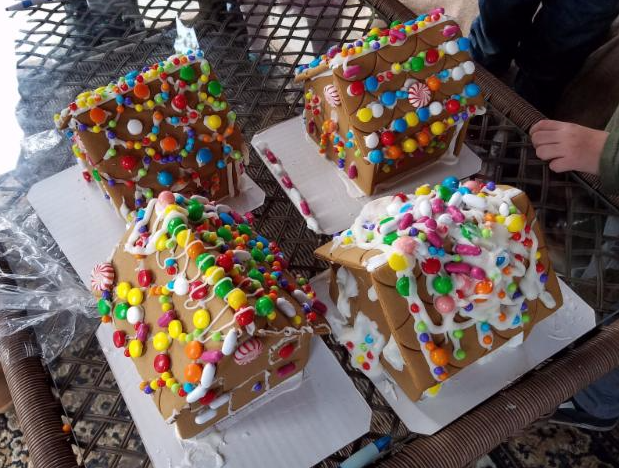 I figured there was no way we were going to do worse. Alas it was a 0-9 season. The one match I was certain we could have won got rained out! The spring flew by with the adults having some great success working on their team work and communication. The weather finally clearing up to beautiful days filled lots of privates and the group classes overflowing.New students signing up and bringing friends. It was awesome. Summer hit with extremely high temps and I think everyone wanted to get out of town and the country to avoid the heat. Our summer class attendance dropped to a crawl. I was so grateful that students who I taught when they were little were bringing their kids “my grand kids” to brave the temps and fill our summer camp! In June we had a super fun Head Demo day at Braemar where to play tested the new rackets and then dined on delicious BBQ. 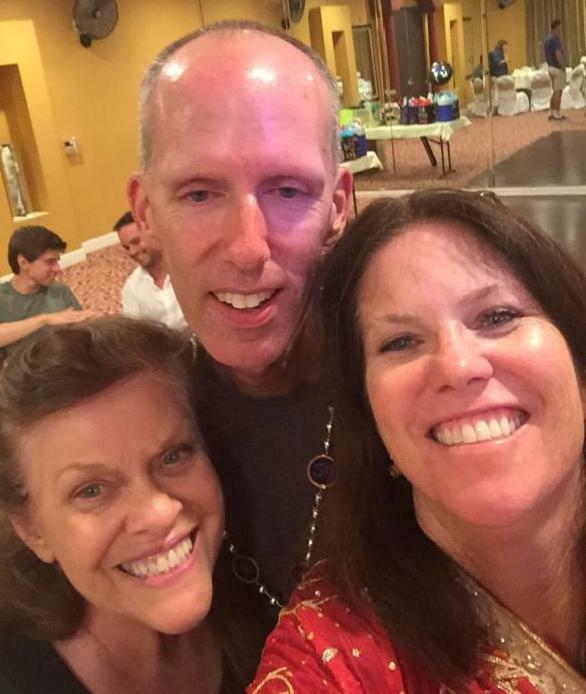 NTC member Paul turned 50 and had a big Indian bash to celebrate. My daughter B had a baby making me a grandma again! Fun Fridays were cool outing I mean cool temperature to hide from the outdoor temps. We did color me mine, movie days and bowling to beat the heat. The kids jumped into Gevork’s pool to cool off as we ate a delicious meal provided by his dad’s market. We said farewell to the summer with our annual NUTTS tournament. 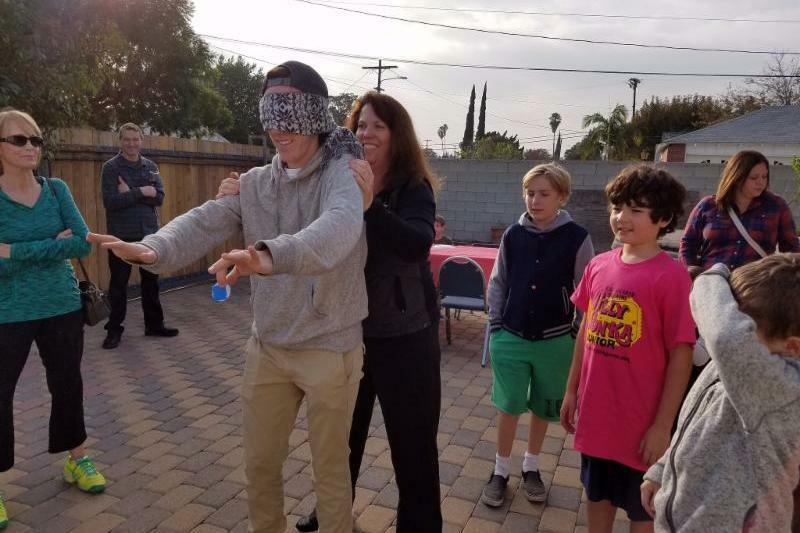 It was so great to see the whole family participate. There was a division for everyone in the family from the 4 year olds all the way up to the 80 year olds. Fall returned but the temperature did not lower. I am not sure how the kids managed to pay attention in classrooms with some days the temperature almost 100. 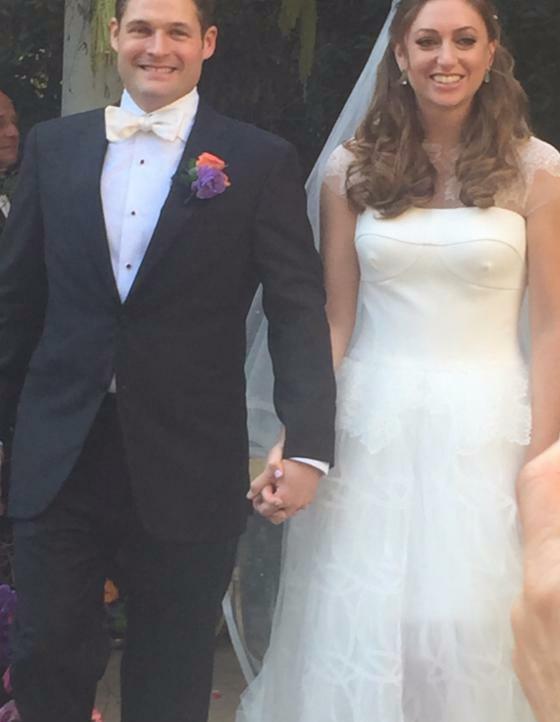 My daughter Sarah got married to Ian on a hot day yet a wonderful wedding. Junior classes became so full I had to find another teacher. Shara brought a good friend Hibe to help and I grabbed Campbell Hall Junior High assistant coach Allen to help. Coach Alex helped with the Junior Team Tennis matches as well!! The classes were packed and the kids were starting to put it together. 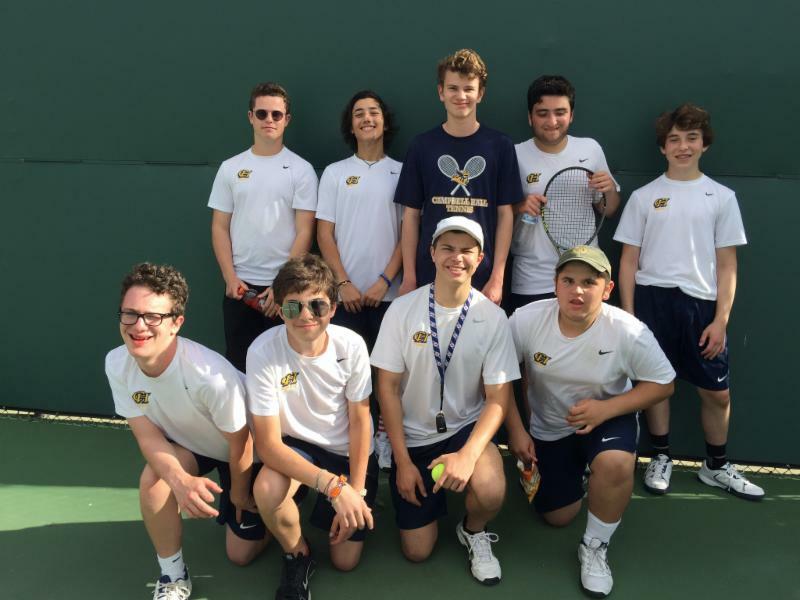 Fall junior team tennis began and the 10’s team starting winning! Well not necessarily the match but MORE games! A couple kids even won a match or two! Campbell Hall girls team started and unlike the boys, the girls had their best season ever! Well since I have been the JV coach. It was so great to see the girls doing strategy and winning. So here we are at the twilight of the year. The junior program is rocking. The adult program is lacking. Our adult program had lots of players participating in the classes but the past few months, our morning classes have been a little slow. The Wednesday evening class is still the place to be. Thank you Coach Mindy for helping out from time to time. I know the adults love you! I want to do a special shout out of gratitude to Coach Shara. The addition of coach Shara last December is probably one of my most brilliant hires. He has been so fantastic and is so supportive of all the players and the program. It is obvious he is adored with all the requests for privates with him!! Plus he is just a really nice guy. Thank you Shara for all your help in 2017. And thank you to Mindy, Allen, Hibe, Harrison, Will and Alex for all your help this year. What are the plans for 2018? Well one, get the adults back on the court and build up our teams again. I think it gets cold and they stay inside. Continue keeping the junior program going strong. Have the CH Boy JV win a few matches this year!! Enjoy life, be healthy and play lots of tennis. 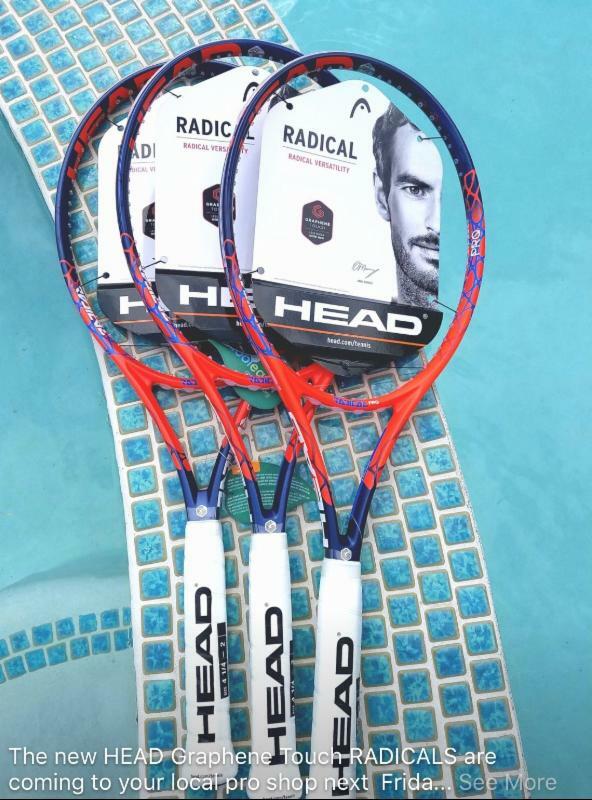 The new HEAD Radical Touch tennis racquet’s have arrived. Both Andy Murray and our local super star, US OPEN Champion….Sloane Stephens both play with the HEAD Radical and now you can be the first to demo them…..go to Tennis Ace or to the Lake Balboa Tennis Center. And for the month of December…..any one that demos a new HEAD RADICAL TOUCH racquet will receive a free can of Pro Penn Marathon tennis balls. 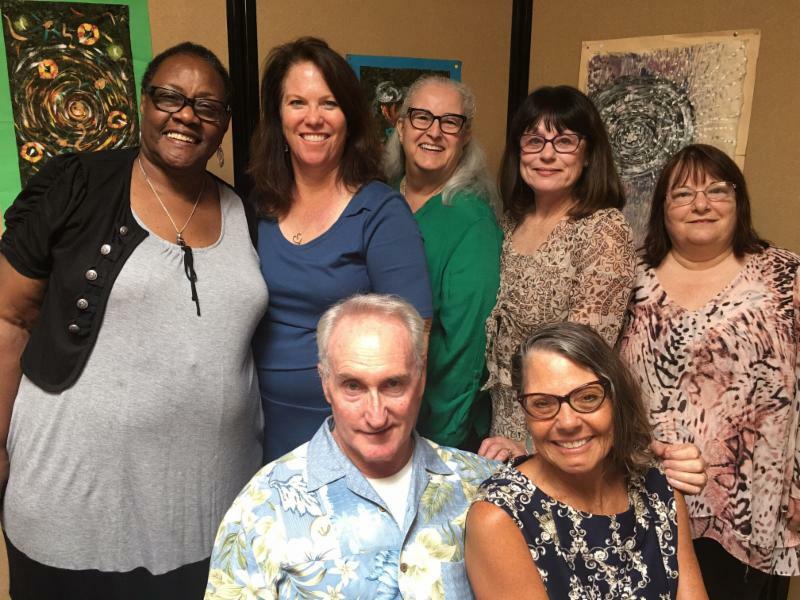 NTC would love for you to join our adult program. This is a great way for adults to enjoy the team format and get some weekly matches. November is my favorite month of the year! The temperature is usually wonderful with a lovely crispness in the air. Oh ya and my birthday is in November. This one is a bit Oh My!!! The big 5-0!! Not sure how time has gone so quickly. I am doing a no host lunch to celebrate at Pagliacci’s at Coldwater/Moorpark on November 2 at 1:45pm if you want to swing by, say hi and grab a late lunch!! No presents please just your presence. See what is up with the crew for my exciting adventure which you can contribute to if you “want” to do a present.October 30th had lots of huge announcements. Fellow tennis coach Beka posted on Facebook after 15 years he has closed his tennis academy and is focusing all his energy on his entertainment career. Beka is a very talented actor and director so I am certain we will see him or his film on the big screen. Congratulations Beka and I will miss seeing you everyday! I can’t wait to be invited to your first of many Oscar parties!! Then the HUGE announcement was made by Harvard-Westlake that they were in process of purchasing the Weddington Golf and Tennis property. Weddington issued a statement they are going to manage the facility for the next year while HW worked out their plans for the property. I have no idea what this means for us in the long run. My sense is not much is going to change for awhile so no need to freak out. I will make sure to post on our Facebook any updates as they come and in future newsletters. October has been filled with team tennis for both adults and juniors. Last season our ten’s team never won a match and this season the kids have won a few. It is so awesome to see them learning how to put together points!! Serves are getting stronger and games are being won! The adults are doing just as well. Margie shares on how wonderful the adults are doing. She says Annette has the perfect name as she is great at the “net”. Also how the adults communication is spot on with their switches and covering down the middle. Many times our teams are dealing with playing teams/players who are much stronger with lots more match experience. Check out this month’s dedicated article on how to win a match mentally even when the score tells you otherwise. Junior classes are going strong. Reminder the time change is happening this weekend so classes will be under lights and a bit chilly so parents who hang out, throw a blanket in your trunk as it tends to gets cold. Make sure all kids bring sweatshirt along with their water. See below for our current class schedule. Most of the adult classes are going strong. The Monday 10-11 am and Saturday 8-9am class can use a few more players. Always text to confirm those classes will be held. I need to get a better handle on who is coming to class and who isn’t. I happily allow for flexibility but to do this, I do need to know who will and will not be attending each class so I can make sure I have enough courts and teachers likewise have enough time to cancel courts and teachers. Last minute additions are always welcomed just text to confirm space availability. Weddington Tennis has a very strict 24 hour court cancellation policy Monday-Friday and a 72 hour policy for the weekends. All weekend lessons need to be confirmed by Wednesday! Check out the HEAD/Penn report. Carrie Cimino our rep has lots of good things in store for us in the upcoming months. A couple new rackets and I am sure demo days to follow. A special thank you to all my Campbell Hall JV girls. This was our best season to date. We finished with a 5-5 record!! Many of the sets were close and all sets were hard fought. I am super proud of this team!! Now that the season is done, my schedule is much more flexible and I have some spaces for privates. If you are interested in getting some personal attention, let me know! Mindy and Shara are also available for privates as well. Thank you everyone who participated in our CSLGH tennis fundraiser. I am so excited to say we raised over $700 for the youth and general fund. It might become an annual tradition. A special thank you to Sherman Way Market Place for donating all the food last minute. It was so yummy!! Wishing everyone a very happy Thanksgiving. Please note there will be some class changes Thanksgiving week. The holiday schedule will be posted on my website and on our facebook page! By the way… have you checked out my new and improved website yet?? Happy Turkey or Tofurky Day!!! How to walk off the court a winner when you just got slaughtered!! There are different ways for a match to go. Most of the time matches are lost not won. Players make the errors and all we have to do is get the ball back and wait for them to miss. What do you do when you are playing a match, and playing the best you ever have yet the score is 0-6, 1-4? They are so much stronger and you can barely get your racket on the ball. How can you walk off the court feeling good about yourself? Our ten’s team last season was in way over their head. They were just learning how to serve but they wanted to play so I said okay let’s do this but we need to make a new standard of what winning a match means. Most of the time they lost 0-8 but every now and then they won a couple games. One day I got to a match late and Edie comes running to me with a big smile on her face saying how she won a game. Not a match but ONE game. It was cause for a big celebration. We were working on getting their serve in and if they did two times a match, that was a win. This same team has now won a couple matches. They are still a very young team but they are so positive it is awesome to watch. We still set goals like getting the ball back twice is a win. This team is filled with such wonderful kids. I am really excited to watch them progress!! When you go to play a match, always have a game plan. What are you going to work on in the match. For example, I am going to get all my first serves in, I am going to hit my returns back, I am going to keep the ball in play the best I can or perhaps I am going to win at least two points a game. In high school I had to play Karen Shin who was a super highly ranked junior. The first time we played, I got 6 points. The second time we played I got 9 points. A 50% improvement. Yea she aced me four times in one game. There was no way I could compete against her but I gave myself a simple goal. Win as many points as I could. That is what I did and celebrated after the second match like I won it! If you find yourself in a match when your opponent is super great, try to not freak out and come up a plan. Are you getting your serves in before they slam them back? That counts as a win! Are you able to get the return back before they hit the blazing winner? If yes then you get to feel good about your returns! Are you winning a couple points each game? Check that off as a win. In doubles, how is your communication…. strong, are you poaching and missing but at least trying. Bonus points for poaching even if you miss!! Are you having success with your volley’s? Excellent!! Do you need to back up because they are blasting shots at you at the net so by backing up to the baseline you can get the ball back over one more time. Got the ball back over one more time…. winner winner margarita dinner!! Pizza dinner for the juniors!! Yes sometimes we just blow the whole match but those times when we come up against strong opponents, let’s walk off the court feeling good about ourselves. Use this matches to as a baseline so the next time we have to play that person or someone like them, we can see the improvement. Use your matches as lessons to gauge what you need to work on not as a form of self flagellation. Tennis is such a mental game so let’s go into a match mentally strong, stay mentally strong regardless of who is on the other side of the net and have some fun!! For more mental tips contact Nikki for a private to discuss other great mental topics and improve your stroke production!! How great was it to have our very own Southern California player, sponsored HEAD player, Sloane Stephens win the US Open this year! As most of you know, Sloane had a cast on her foot and was walking with crutches in March at the Indian Wells tournament. Great come back story and great recognition to the HEAD brand as she won the US Open with her HEAD Radical Pro! This is a perfect lead in to letting you all know that we are launching the new Radical Touch racquet series on November 10th. We have added the new Graphene Touch technology and really updated the cosmetics to a really cool colors and updated graphics…….and more importantly based on initial play-test the new Radicals plays with more control and has a more overall comfortable feeling. And in January we will be launch the new Prestige Touch racquet line. I know of few of you, Christian Straka and Bruce Man Son Hing have play tested and their response was that the new Prestige defiantly plays better that the previous series, and they are in love with the new rich overall look of the frames. I will have more new products to share with you at our upcoming Advisory Staff meeting. And lastly, I wanted to thank everyone that stepped up and helped me with the Pro Penn and ATP tennis ball contest. I did not win first place, but I did come in second, thanks to so many of you! 2018 is going to be a fantastic year for HEAD Penn Racquet Sports, our top players, Andy Murray and Novak Djokovic will be off the injured list and will be ready to win some Grand Slams. For the past five or so years I have featured my students, other coaches, my friends and friends of friends.This month for the first time, I am featuring a super special person… ME!!! I have exciting news to share about what I have been doing on the side!! Many of you know I earned my Master’s in Spiritual Psychology from USM a few years ago. 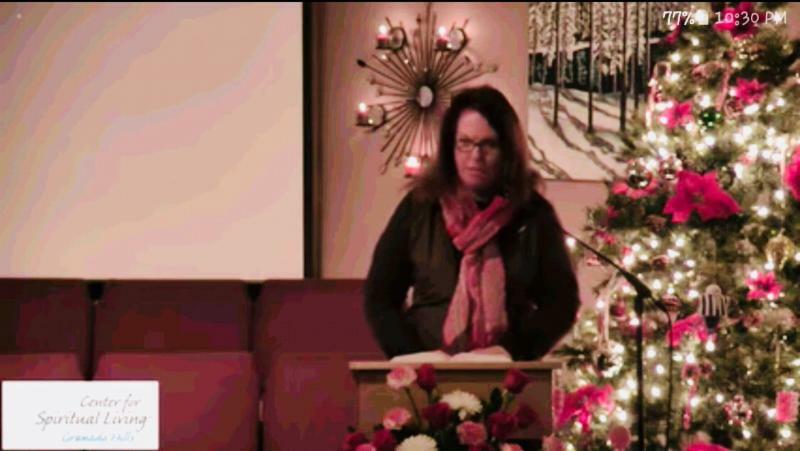 I continued my spiritual education and became a Licensed Professional Practitioner for Center’s of Spiritual Living, a nondenominational church. I go to the Granada Hills location but they are all over the world. As a Professional Practitioner, I do Spiritual counseling for people in crisis and for those not in crisis but who want to go from awesomeness to greater awesomeness. CSL Granada Hills just asked me to become the Teen adviser for their youth program. I am super excited as I adore the teen years and I love being a mentor. Teen years were super tough for me and I know what a difference a person can make. Most people come to tennis to learn how to play tennis. Many who end up with me, find it isn’t only about tennis and quickly learn I am a great sounding board to many of life’s issues. One of my students paid me almost double one lesson and said, this is what my therapist charges and you are better than her. I ADORE this part of my job. I want to take this knowledge I have learned and go even deeper with it. Center’s of Spiritual Living offers a three year Ministerial program which I have applied for and am excited to attend. I have no idea how I am going to pay for this but I am throwing it out to the Universe. Some of you have asked what I want for a birthday present. There is nothing I need but I would love to be able to go to ministerial school without the stress of how I am going to pay for it. I have set up a go fund me page and if you would like to help me out financial that would be amazing. A simple prayer knowing successful completion and paying for the program with grace and ease is welcomed too!!! Thank you and many blessings for all you do!! Hello October!! How did October arrive so quickly! I always amazed at how quickly time just goes zipping by! Before I know it November will be here and I will be 50…. Oh my!! I want to say Happy 19th Anniversary to Weddington Tennis. It was back in October of 1998 that I moved Nikki’s Tennis Crew to Weddington. My beloved Racquet Centre closed it doors after being my home for twenty one years. Once again it is that time going way to quickly!! I want to do a moment for to all those affected by the recent natural and man created disasters. I know many of our NTC members have family in Las Vegas, Mexico and Puerto Rico as well as other places being hit with challenging situations. Please know that we hold a place for their well-being. October there is so much to tell you about I am not sure where to start! 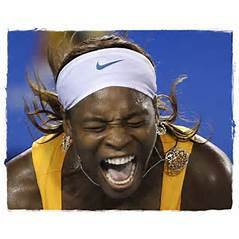 Junior Team Tennis starts on October 1st. I can’t wait to hear how all the teams do. We are hosting four teams this season. They will be playing all over the valley and even at Santa Monica High School this season. We have a couple new players but most are returning players. We can use a couple more so if your child is interested, please let me know. I am really excited that we have lots of captains for the teams this season so all the matches will have great coaches helping the kids! Thank you to everyone who is helping! The adult season started a couple weeks ago. I know we have a couple injuries so fielding full teams have been a bit challenging. We are always looking for more players. I heard a ladies doubles went to a third set 9-10 tiebreaker. Oops!!!! Reminder to everyone, it is win by two points!! More work to be done! Junior and adult classes have been going really well! I need to do a special shout out to Shara who has been helping with the junior classes. As you know I have been also coaching the Campbell Hall JV team and Shara has been stepping in running the classes while I have been at their practices and matches. It is so wonderful to know that all the classes are in good hands along with Will, Allen and Harrison. Thank you all for making this season so wonderful for me!! I will be back in a few weeks to teach most classes!! The Wednesday adult class has been packed! Such a fun class. The Friday and Saturday classes are going well too. I need to rebuild our Monday class a bit. It seems to have drifted off. If you are interested in the Monday 10:00-11:00am class let me know. Check out this month’s dedicated article below on mindfulness and tennis. I am amazed at how many people are checking their cell phones during matches and lessons. I think my favorite thing to do is to organize things. I love to put things together. I love to run events. Sooooo when we were talking about fundraising in our church board meeting. (Somehow I ended up on a board!!) I came up with a brilliant idea to raise money for our church. I grabbed Barbara Tscherne another church member/tennis coach and said let’s put together a tennis event. She has some nice courts for us to use. I went around to local restaurants and got some food. Voila a tennis event is organized!! See Events page for more details! This month’s what up with the crew is awesome. We feature another tennis coach Stacey who has turned her physical pain into helping others. My friend Karen is laughing because I have a rule you can’t talk about Christmas until after Halloween yet here I am with a great Christmas idea. NTC member Kathryn Pitt is an amazing artist. She has painted many presents for me. Check out her website if you are looking for a fun, heartfelt and wonderful holiday present for a friend. I love technology. I love the fact, I can be at Weddington and know who is at my front door. I adore the fact, I can text people to confirm lessons. Now if I am running late, no need to stress to get there, just a simple “traffic bad am on my way”. On the other hand, technology never gives us “our time”. Nikki I tried calling you. Well I was in a middle of a lesson, I wasn’t able to answer. My favorite was when a student in my middle of a lesson exclaimed “OMG a plane just landed on the 405.” I looked around wondering how does she know that? Was she having a psychic moment?? Then I noticed her Apple Watch on her wrist. I feel there is a fine line between technology good and technology bad. I have a new rule with the juniors. When they come on the court, they pile their cell phones and can only check them on the hour or half. Or they have to be in their tennis bags. I got tired on them on the phone at every water break. I know adults are trying to fit tennis in between work and family so I understand when they need to answer a work call or text. But what happened to the time, you could come and play tennis and not worry about the world or work falling apart. I think there is something sacred about having time for yourself without the rest of the world invading your energy. As I approach my 50th birthday (OMG) I am finding I want more quiet and not to be bombarded with news and technology. I am learning to not be connected to my phone 24/7. Well at least trying. I love the weekends when I go to the prison because I am not allowed to have my phone from 6:30am-5:00pm. Footnote that is this weekend September 30/October 1 so if you tried to reach me this is why I didn’t return your email or phone call yet. I offer you this. Next time you go play a match or have a lesson, perhaps turn your phone off. Okay baby steps put it on airplane mode. Use a watch to check the time so you aren’t tempted to look at the work text or see the latest ridiculous tweet by someone or check facebook. Keep your mind focused on what is going on “on the court”. When you sit down for water, notice the sounds the birds are making, look at the pretty palm trees surrounding Weddington. How blue is the sky today? Is there a soft breeze blowing? What do you need to do differently to win the match? What are you doing well? Notice your breath. Just feel the air coming in through your nose and out through your mouth. Feel your muscles relax. What is your plan for the next game. I am really loving learning all this mindful/spiritual stuff to share with you. I read a wonderful book. It is a book to read a little bit every day. “Seven Thousand Ways to Listen” by Mark Nepo. I love teaching tennis and on the side I do Spiritual Counseling for Center’s of Spiritual Living in Granada Hills as a licensed Practitioner.